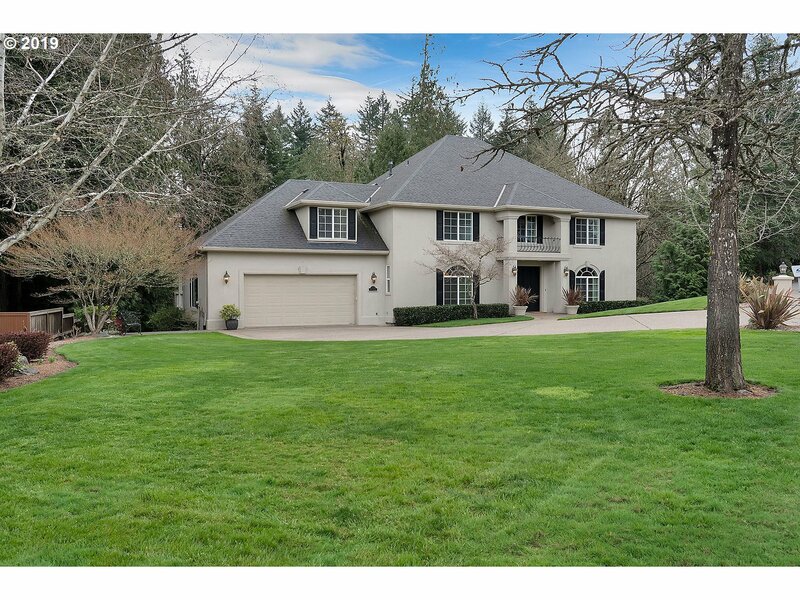 All Beaverton homes currently listed for sale in Beaverton as of 04/21/2019 are shown below. You can change the search criteria at any time by pressing the 'Change Search' button below. "Occasionally a home comes along that exceeds every expectation. This is that home. With 2.7 acres of beautiful grounds backing to Cooper Mountain Nature Park forest, privacy and tranquility surround you. Refined architecture; spacious, warm and inviting rooms; large gourmet kitchen; amazing wine cellar; outdoor fireplace; water features & 2nd master on main. Ideal for multi-generational living w/3rd master & 2nd kitchen on lower level." "Live beside the Vineyard, atop Cooper Mountain! This stunning Tuscan-style home in tony Corrine Heights sits on 1.15 acres, directly across from the Vineyard & Tasting Room. Wonderful family home, newly enhanced w/ all-LED lighting & designer color palettes. IMMACULATE inside/out. 25-ft ceilings, whole house A/V + security, sport court w/stadium lighting, 5-6 car garage, separate 1000 sf apartment/ADU/guest quarters." "Stunning custom-built wine country Bed and Breakfast! Relax on a rocking chair on your wrap-around porch overlooking trees, protected wetland, and pond. 8 min to Washington Square, minutes to Ponzi & best local wineries! High ceilings throughout, Brazilian cherry hardwoods. 4 en-suite bedrooms. Main level living with bonus area downstairs and incredible wood workers shop! Perfect multi-gen home. Professional landscaping, fruit trees." "Live in stunning privacy on over five and half acres in the forest at the foot of Cooper Mountain. Secluded, quietude just north of Renaissance Street of Dreams. R-6 zoning allows development now or future potential. 19-lots including house in the previously approved Cooper Peak subdivision. Great custom house with many options, storage, and surrounded by greenspace. In NEW Mountainside High School district." "Great opportunity for 9 (nine) lots, most all facing and adjacent new Meadow Waye city park. Value is in the land with 9 lots according to pre-app with City of Beaverton with 7-8 extra deep lots facing the park. House also works as a single family home with down the road value, with huge storage sheds, RV parking, even an irrigation well. Pre-app notes available upon request. DO NOT DISTURB RESIDENT." "Rare Luxury Home with an Indoor Swimming Pool, a Hot Tub, Personal Workout Area, Game Room and a Wet Bar. Outdoor Closed-in Sport Court. Nestled in the tress on 1.87 Acres of Privacy, with Views. Matured Landscaping. Home is ADA Compliant with Safety Railings and Ramps. Master Bedroom Suite on the Main Floor, Open Island Kitchen with Granite Counter Tops. Vaulted Ceiling and Hardwood Floors. Five Car Garage with a Private Driveway." "Beautifully maintained custom home with two masters on main. Fully ADA equipped with elevator. Updated kitchen with quartz and new appliances. In-law suite with laundry and separate entrance. Bonus area on the lower that is perfect for home theater. Beautiful outdoor space, backing to wooded THPRD land, perfect for entertaining. Includes gazebo, deck, and shop with power. See https://tours.mcimagery.com/1253602?id for images." "Brand new elegant, modern home. Quality construction with 12ft ceiling, high-end finishes. Gourmet kitchen w/ quartz island & Jenn-air appliances. Spacious, light-filled w/ skylights - open floor plan extending to large covered outdoor patio. Versatile 4th room for office/bedroom. Close to Jesuit HS and new Kaiser. Home backs to Kennedy Park." "Grand NW executive one-owner home on a lovely Cooper Mountain cul-de-sac. Entertainers dream. Seller has enjoyed hosting parties inside and outdoors in this private backyard retreat. Main level bdrm/den connected to full bath. Bonus Room insulated and sound wired for media/theater experience. Cat5 wiring throughout. Landscaping inc lighting, water features, 6-zone irrigation, pergola, hot tub. Garage for 3 cars plus shop, or 4 vehicles." "Top notch home, the best on the market, a perfect 10. Great floor plan with 6 bedrooms on the main floor, each one with its own bath and a large separate care giver quarters upstairs. Presently used as a care home business with a great income and good record. Conveniently located near major roads, shopping centers and more. License is not transferable. Home next too it is for sale also and it can be purchase as a package." "Exquisite one of a kind, very high end New construction on Cooper Mountain! Custom designed & built, 6 bed, 5 baths, 2.5 kitchens, 2 full size private decks backing to greenspac, 2 laundry rms! Exceptional craftsmanship w/tons on crown molding & wainscoting thruout, Quartz slabs in both kitchns & all baths, dual zone A/C & heating, tankless water heater, central vac ready, electric car outlet. Beautiful views!" "Incredible appeal throughout this gorgeous new construction home located in the Raleigh/West Slope neighborhood. Sleek design & functionality with exceptional high quality finishes. Main level office,two story great room with window wall & fireplace,all bedrooms plus bonus on upper level. Outdoor living includes covered outdoor retreat with fireplace,level lawn and fully fenced backyard.Handy location to freeways, Nike, dt Pdx & more!" "OPEN SAT, MAR. 30, 1-4PM. Complete renovation in 2017 includes: All new custom cabinets w/soft close doors. Oak hardwood floors throughout. Gourmet kitchen with 9' x 5' island, stainless appliances, quartz counters, farmhouse sink & more. Family room w/custom fireplace surround. Formal living room & dining room. Deluxe master suite. Fenced backyard with patio. 12' x 14' pergola, fire pit, & more. Too many upgrades to list! Must see!" "OPEN SUN 1-3! Beautiful custom home in Murrayhill Park. Large open flr plan w/ Travertine flrs thruout main, Kitchen w/granite counters, island, wet-bar. Vaulted ceiling thruout home w/designer paint, spacious living, family, & dining rooms. Large Master ste w/fireplace, bath w/jet-tub, marble countrs, his/her closet. Expansive decking in the backyard with Gazebo! Light & Bright in an excellent neighborhood on a Serene location!" "Back on the market!!! price reduced. Possible development townhouse or condo. Highly population density and desirable location with over 1 acre lot. Buyer to due diligence with Washington County.Close to Nike, Costco, Max Station and Across street from Tualatin Hills 222 acre Nature Park. Available owner contract!! !Good location for daycare or home care." "Hard-to-Find 2 Acre Property in Prime Central Beaverton Location! House could use TLC - Newer Furnace. RV Garage w/Water + Power. Desirable New Mountainside High School. Development Potential for Multiple Lots - Buyer to do their own due diligence. Blocks to Several Parks. Easy Access to Highway 217. So Much Potential! See ML# 18302321 for Lots/Land Listing!" 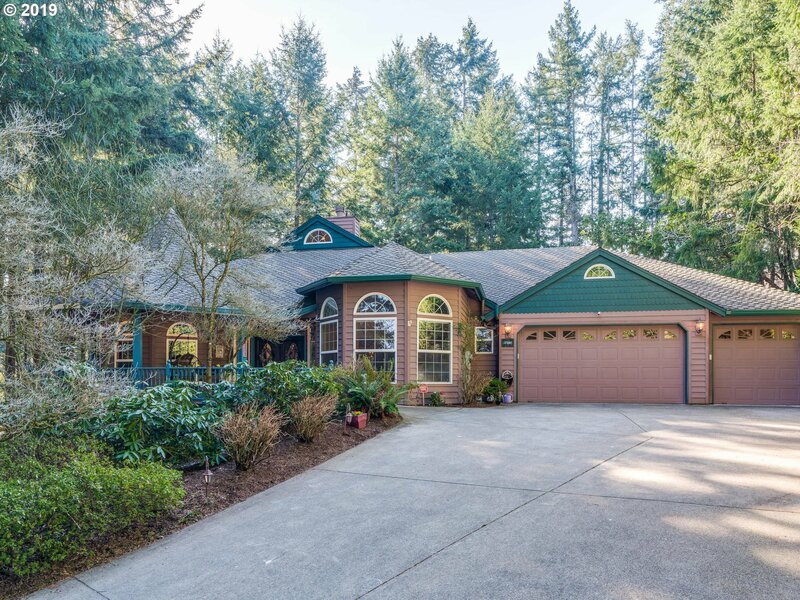 "Welcome home to this gracious Cooper Mountain Estate w/Rare Apt-Style ADU above 4 car garage!With over 5000 sq ft in main house, plus 1200 sq ft Apt and expansive decks & yard,the thoughtful floorplan offers endless options for entertaining AND for creating a perfect balance of privacy & togetherness for everyone! Grand Piano sized rooms,gourmet kitchen,tons of light.Great for multigenerational living and/or single-floor living option!" "Fantastic Murray Hill Park Luxury Home. This spacious home, which backs to greenspace, features custom cherry woodwork, high ceilings and elegant wainscoting. The large gourmet kitchen features slab granite counters, roomy center island cook top and stainless appliances. In addition to 6 large bedrooms and den, other highlights include a lower level with second family/bonus room, wet bar, 2 bedrooms, full bath, and walk out to patio." "Fabulous custom built home situated on a lush private lot surrounded by a tranquil treed greenspace. Outstanding qualities include open, spacious flr plan, beautiful cherry wood cabinets thru-out kitchen & bathrm. Gracious master suite with luxurious master bath, three additional spacious bedrooms and sizable bonus rm. Updated material throughout feature solid core doors and lighting.Unfinished 700 lower lvl sq ft, for storage or shop." 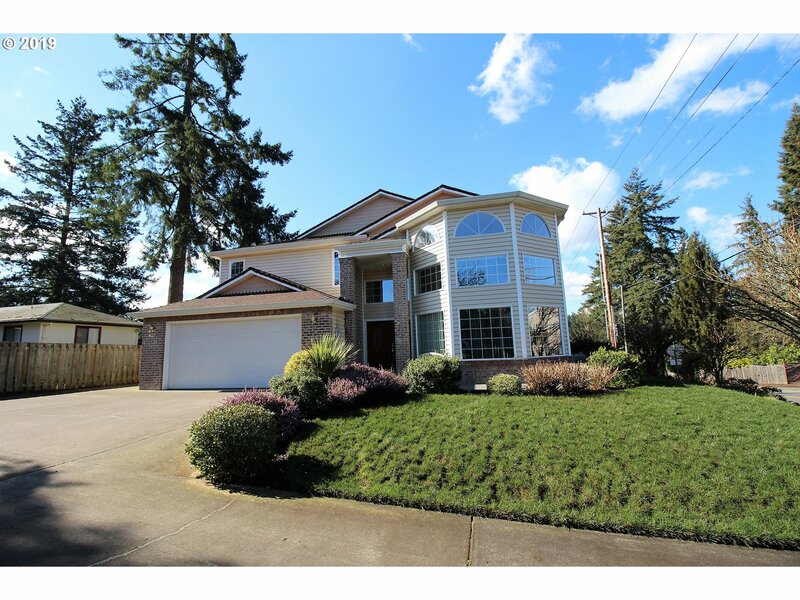 "Large home in Excellent Beaverton location! Great freeway access. Main Level has 5 bedrooms, 1 full and 4 half baths. 2 Bedrooms & 2 full baths upstairs. Remodeled kitchen with newer black stainless steel appliances, Quartz countertops & stylish backspalsh. Impressive High Ceiling Living room. Lots of natural light. Walk-in shower. Perfect for large family or multi-family setting. Presently used as an Adult Care Home, Income producing." "Spectacular Murrayhill home with all the IT factors! Stunning curb appeal & ideal culdesac location. Only 2 blocks to Nancy Ryles Elem & trails. Stunning great room layout w/ huge island kitchen & floor to ceiling windows. Beautiful private fenced backyard that's perfect for play & entertaining. Bonus room +2 suites on lower level. This is the quality dream home you've been waiting for +all Murrayhill amenities & new Mountainside HS!" "Amazing Master on the Main view home on Cooper Mountain! Light bright and open plan with tall ceilings. Spacious bedrooms with high ceilings and ample storage. Lower level Bonus room with kitchenette. Fantastic multi-generational home! Finished shop area off the garage. Newly refinished and stained hardwood floors. Fabulous views. Great neighborhood!" "Elegant and spacious Murrayhill home with stunning updates. .28 acre lot backing to treed greenspace. Beautifully updated kitchen and master bath featuring new solid surface countertops and cabinets. Newly refinished hardwood floors. 5 BR + Bonus+ Den+ Hobby room+ storage room! Mt Hood View. Just 2 blocks from the Murrayhill Rec Center, swimming pools and tennis court. Great schools, Nancy Ryles/Mountainside HS"
"Unique Dome Home available now for sale or lease option. Wooded lot with over an acre of land in Beaverton. Close to Chehalem Elem. School. 2 Masters allows many options, 1 of which is on the main level. Radiant heat. Call today to view, or with questions about the lease option. Possible additional lots, Buyer to perform due diligence."